Somehow I have been unbelievably lucky in the department of awesome clients who are funny, smart, down-to-earth, loving, and all around great... and Jessie and Allan are no exception. 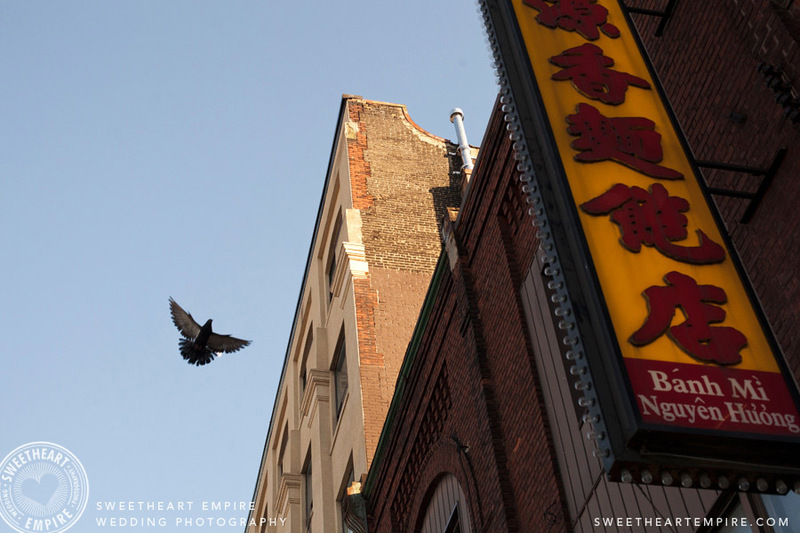 This was a super easy going, urban photo session in some of my favourite neighbourhoods of downtown Toronto. 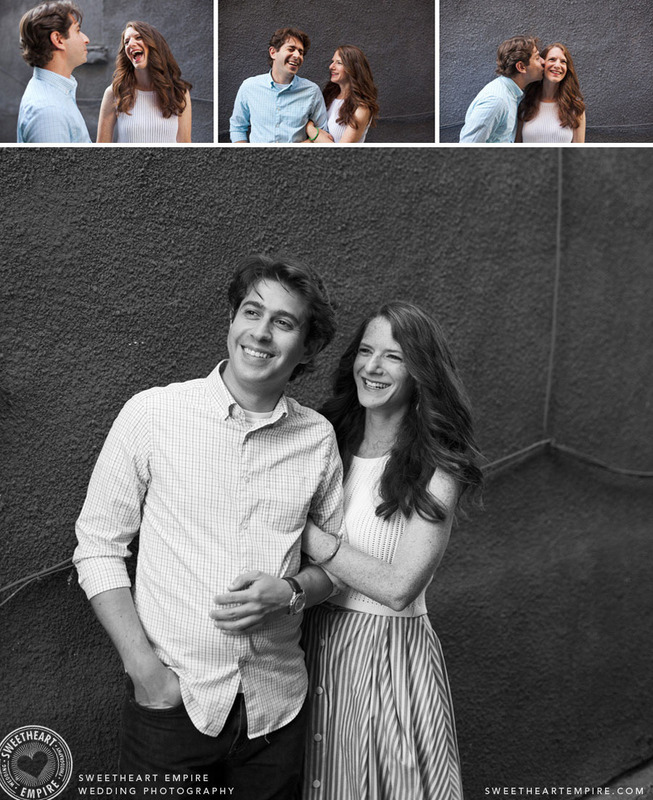 I went to college with Allan, and was thrilled when he asked me to meet Jessie and become their wedding photographer. I convinced them to do engagement photos, even though they weren't super into the idea of tons of wedding-related "extras". Yet when I was promising them it would be fun, I had no idea what I was in for. Anyone who knows Allan and Jessie knows they are both hilarious. 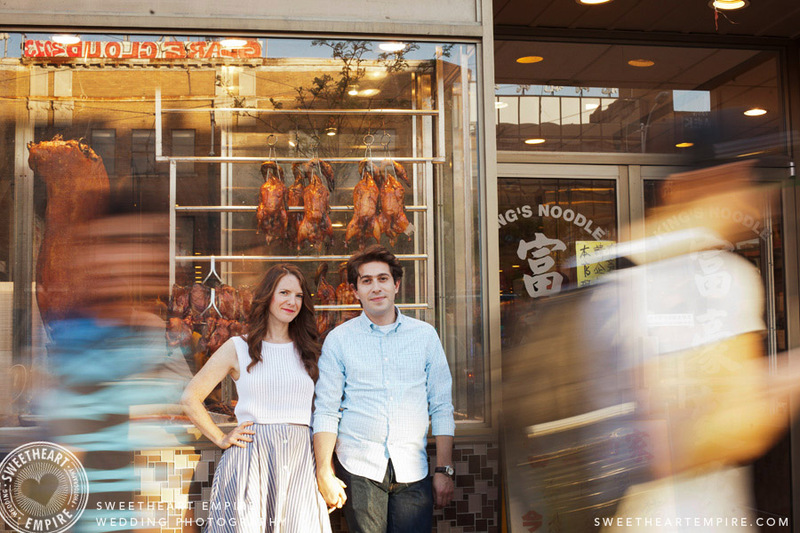 We met at their downtown home and walked through Kensington Market to Chinatown. The summer afternoon light washed over the city, and I barely had to do anything to make these two smile - they took care of that. Jessie and Allan, I am privileged to be photographing your wedding, and so happy that you've each found someone who brings so much joy and laughter to your life. For a sneak peek of Jessie and Allan's incredible cottage wedding, in Georgina Ontario, view the 2014 slideshow here!